Subs: Shaqiri (8), Milner (6). 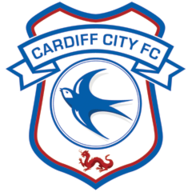 Cardiff: : Etheridge (6), Bennett (6), Bamba (6), Morrison (7), Manga (6), Murphy (6), Paterson (7), Gunnarsson (7), Camarasa (6), Hoilett (6), Reid (6). Subs: Damour (6), Harris (7), Zahore (N/A). Jurgen Klopp mixed it up in midweek, and did so again for the visit of Cardiff. Klopp made six chances from the side that stuttered to victory at Huddersfield, with Dejan Lovren and Virgil van Dijk again the preferred centre-back pairing, but this time flanked by Alberto Moreno, who made his first start of the season for Liverpool. 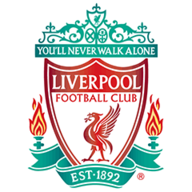 It was an entirely new midfield for Liverpool, with Adam Lallana dropping back to join Fabinho and Georginio Wijnaldum, making way for their stellar forwardline of Mohamed Salah, Roberto Firmino and Sadio Mane. Just the one change for Cardiff, with Harry Arter replaced by Junior Hoilett. 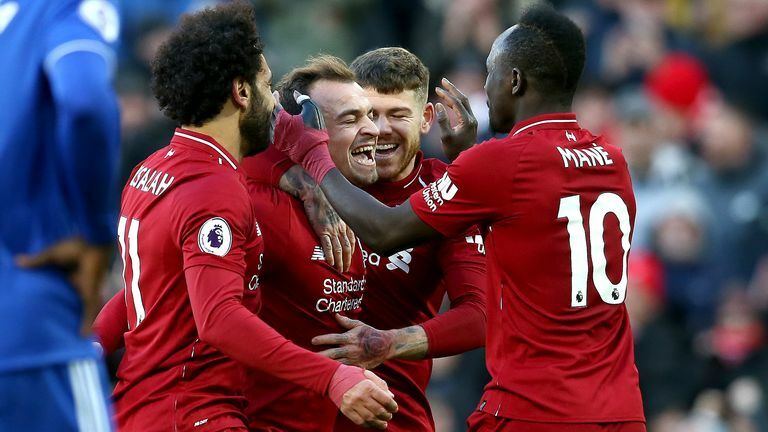 Liverpool manager Jurgen Klopp was 'really happy' with the 4-1 win over Cardiff which sent them top of the Premier League. All talk of this supposed Salah blip must be well and truly put to bed now. He was calm in the finish for Liverpool's opener, but when his team were under the cosh late on, two fantastic passes undid Cardiff and ensured Liverpool secured that victory they needed to head back to the top of the table. 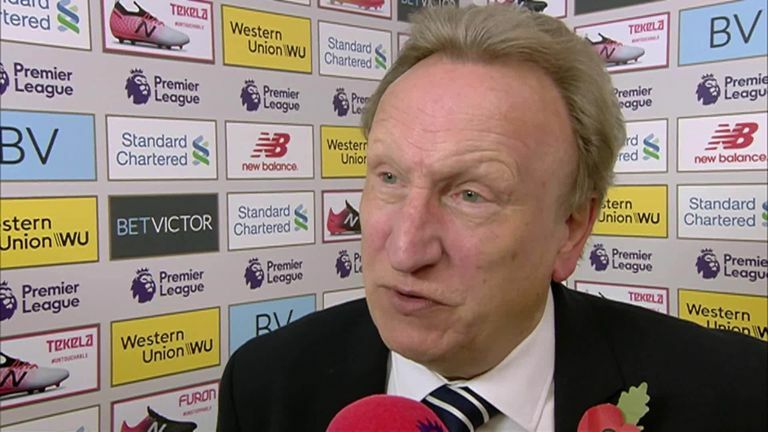 Neil Warnock praised his Cardiff side for their efforts in the 4-1 loss to Liverpool, insisting their performances are getting better. 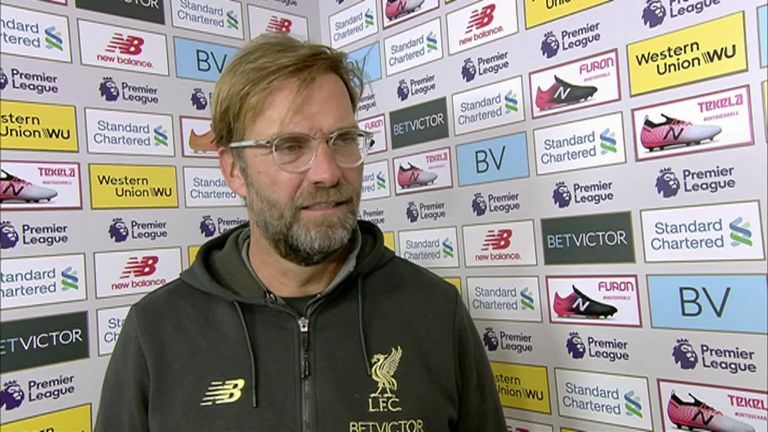 Jurgen Klopp: "The boys are really disappointed with the goal we conceded. It will happen one day. In that period we were a bit sloppy, losing the ball here, losing the ball there. Cardiff could live with 1-0 or 2-0, as they know a set-piece can put them back in the game. But they did not get back in the game because we closed it with two wonderful goals. We are really happy - 26 points after 10 games is exceptional - so we are really happy." Neil Warnock: We just made the wrong decisions in the first half. We had a great six or seven opportunities when running into their half, but we made the wrong decisions. I said at half-time, we have got a chance if we get the next goal, but unfortunately we didn't do that. "We kept going, and you could tell by the quiet of the crowd that there was a game on, but to concede two late ones like that is a blow. The players gave it their best shot, and that is all you can ask really." Liverpool travel to Arsenal next weekend, while Cardiff host Leicester.